This is the eighth book in The Oz Series by L. Frank Baum. 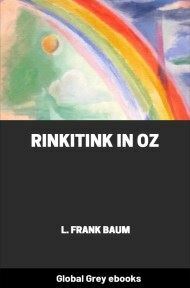 Betsy Bobbin, a girl from Oklahoma, is shipwrecked with her mule, Hank, in the Rose Kingdom of Oz. She meets the Shaggy Man there and the two try to rescue the Shaggy Man's brother from the Nome King. This book is partly based upon Baum's stage musical, The Tik-Tok Man of Oz, which was in turn based on Ozma of Oz. This was quite true. Away up in the mountains, in a far corner of the beautiful fairyland of Oz, lies a small valley which is named Oogaboo, and in this valley lived a few people who were usually happy and contented and never cared to wander over the mountain pass into the more settled parts of the land. They knew that all of Oz, including their own territory, was ruled by a beautiful Princess named Ozma, who lived in the splendid Emerald City; yet the simple folk of Oogaboo never visited Ozma. They had a royal family of their own—not especially to rule over them, but just as a matter of pride. Ozma permitted the various parts of her country to have their Kings and Queens and Emperors and the like, but all were ruled over by the lovely girl Queen of the Emerald City. Now, Ann had not forgotten when her birthday came, for that meant a party and feasting and dancing, but she had quite forgotten how many years the birthdays marked. In a land where people live always, this is not considered a cause for regret, so we may justly say that Queen Ann of Oogaboo was old enough to make jelly—and let it go at that. "Oh, yes! Queen over eighteen men, twenty–seven women and forty–four children!" returned Ann bitterly. Her jeering words, however, had given Queen Ann an idea. 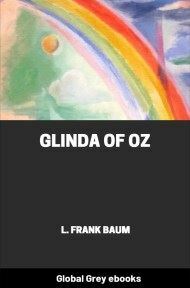 She reflected that Oz was reported to be a peaceful country and Ozma a mere girl who ruled with gentleness to all and was obeyed because her people loved her. Even in Oogaboo the story was told that Ozma's sole army consisted of twenty–seven fine officers, who wore beautiful uniforms but carried no weapons, because there was no one to fight. Once there had been a private soldier, besides the officers, but Ozma had made him a Captain–General and taken away his gun for fear it might accidentally hurt some one.